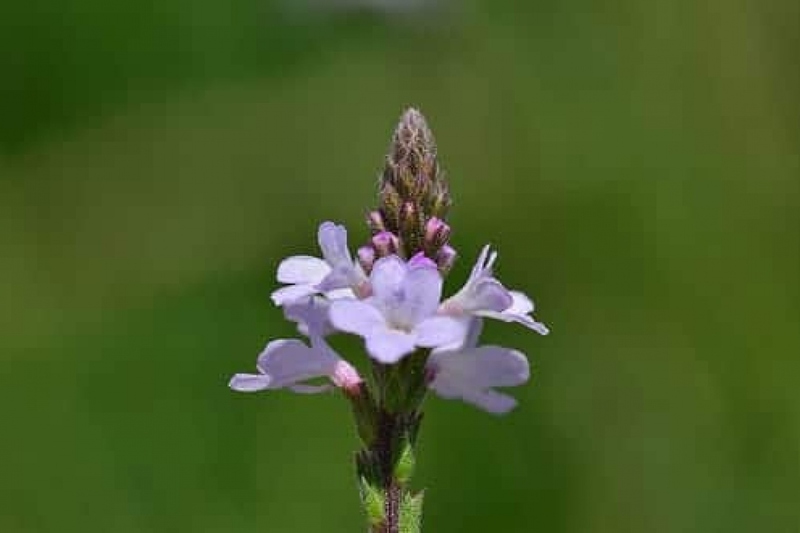 Vervain (Verbena officinalis): growing, planting, caring. This is the Verbena you can actually grow for herbal tea. Full description for Verbena officinalis not yet available. Not to be mixed with lemon verbena, which has no link. Purple flowers in clusters, upright stems, square, opposite, toothed leaves. You will plant the verbena officinale in spring or autumn. Choose a sunny and well drained location in winter (otherwise it may freeze), not too poor. Add compost during plantation, if necessary. There are two types of watering for verbena: in open soil, the first month after planting, water every two days. For potted plants, water twice a week unless the pot is outside and it has rained in the meantime! You can cut the dry tufts low at the end of the season, if their appearance bothers you. Verbena seeds itself spontaneously, so you will probably have some new ones to transplant regularly. You can also divide them in the spring, with a spade. Mulching verbena presents a single risk: if it is in a heavy and wet soil, the presence of soil moisture under the mulch could weaken it in the winter. In other cases, mulch without second thoughts twice a year, to protect the soil in the winter, and to avoid watering and weeding the rest of the year, with mulch or shredded wood.